The development of genome and transcriptome sequencing technologies has led to a paradigm shift in life science research and disease diagnosis and prevention. Scientists are now able to see how human diseases and phenotypic changes are connected to DNA mutation, polymorphism, genome structure, and epigenomic abnormality. Next-Generation Sequencing Data Analysis shows how next-generation sequencing (NGS) technologies are applied to transform nearly all aspects of biological research. 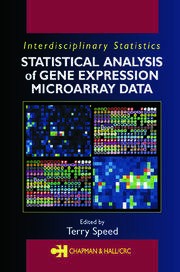 Before detailing the analytic steps for each of these applications, the book presents the ins and outs of the most widely used NGS platforms, with side-by-side comparisons of key technical aspects. This helps practitioners decide which platform to use for a particular project. 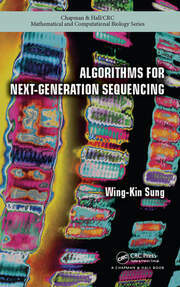 The book also offers a perspective on the development of DNA sequencing technologies, from Sanger to future-generation sequencing technologies. The book discusses concepts and principles that underlie each analytic step, along with software tools for implementation. It highlights key features of the tools while omitting tedious details to provide an easy-to-follow guide for practitioners in life sciences, bioinformatics, and biostatistics. In addition, references to detailed descriptions of the tools are given for further reading if needed. The accompanying website for the book provides step-by-step, real-world examples of how to apply the tools covered in the text to research projects. All the tools are freely available to academic users. What Is Next for NGS? 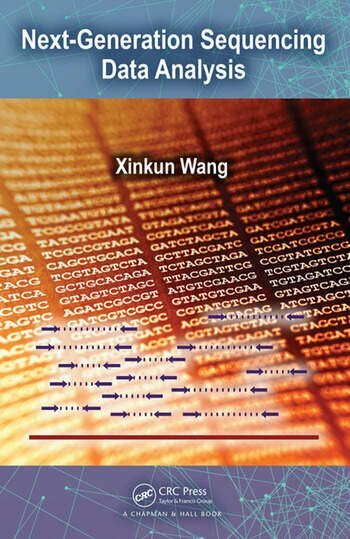 Dr. Xinkun "Sequen" Wang is the director of the NUSeq Core Facility and research associate professor in the Department of Biochemistry and Molecular Genetics at Northwestern University. He was previously an associate research professor of neurogenomics in the Higuchi Biosciences Center and Department of Pharmacology and Toxicology at the University of Kansas, where he was also the director of the Genomics Facility and Genome Sequencing Core. Dr. Wang’s research focuses on unraveling genomic changes that underlie neurodegeneration in brain aging and neurodegenerative diseases, such as Alzheimer’s disease.